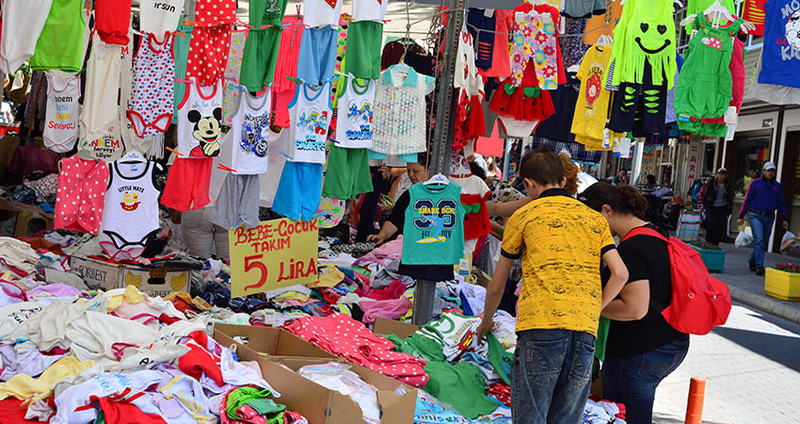 Marmaris Mugla Market is a marvelous place where you can find almost anything you can think of at any given moment. 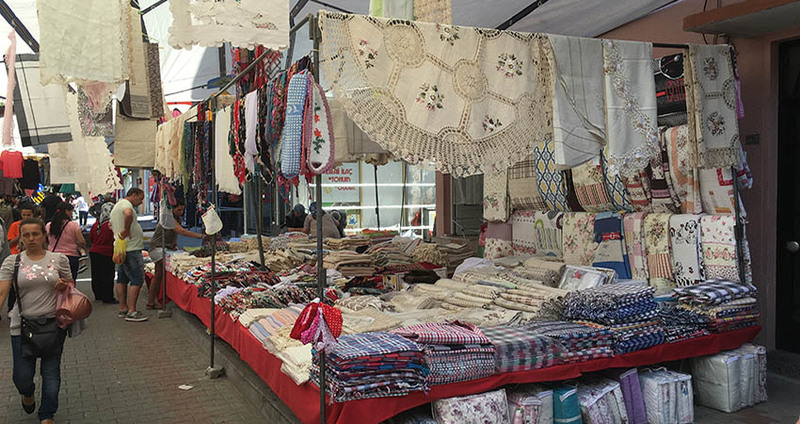 This lovely market offers an array of products such as clothing, footwear, perfumes, jewelry and much more. 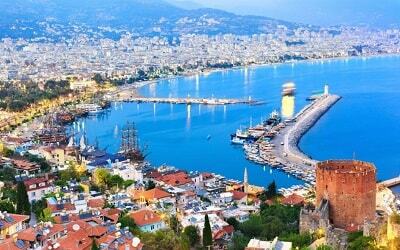 Mugla is one of the oldest cities in Turkey. 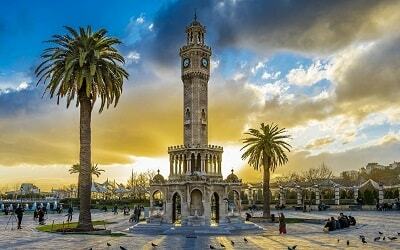 It is world-famous for its remarkable intricate Greek and Turkish architecture. 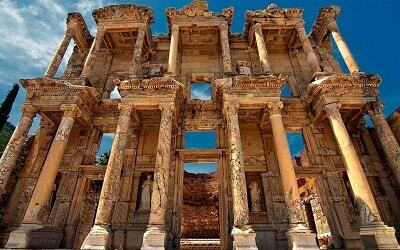 This unique and amazing mix of cultures and arts, makes Mugla a place in which you will enjoy the views of outstanding historical sites, as well as the most splendid shopping experience of your life. 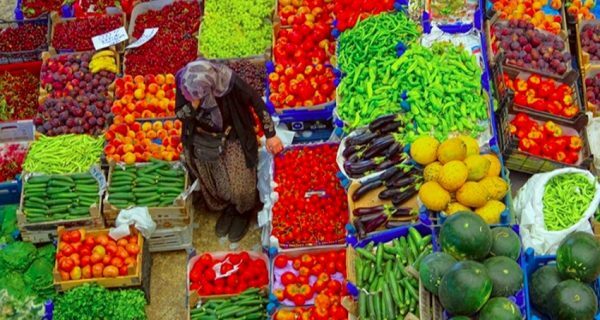 Every local market has a wide array of fresh exotic fruits, vegetables and other delicious foods, but if you want to purchase a unique handmade gift, or just something special to remind you of this vacation, you should book your seat on our daily tour from Marmaris to Mugla. 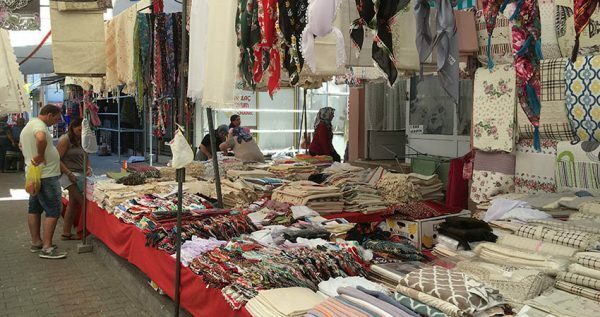 If you are an admirer of handcrafted work, you definitely shouldn’t miss visiting the Marmaris Mugla Market, as it has a grand offer of handmade items. You can also shop for precious antiques, some of which could be more valuable than you think. 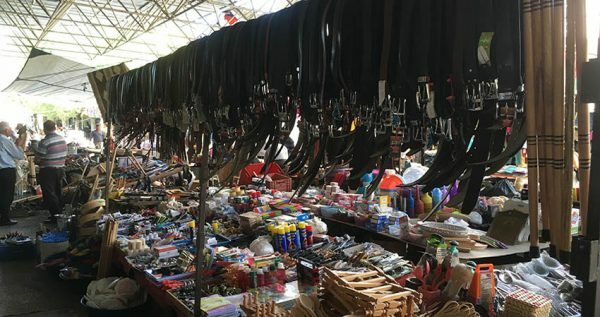 However, the most interesting feature of this terrific market is the traditional bidding on all sales items. 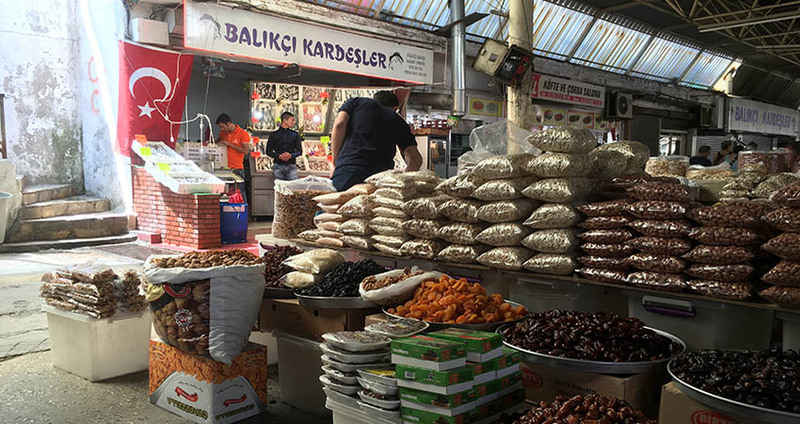 When you are at the Turkish market you can be sure that the original price can always be lowered to a reasonable price. We should also note that you should take your camera with you because you will witness the most diverse and colorful parts of this lovely market. Once you’re done shopping, you can take a rest in one of the many charming restaurants near buy. Most of them offer the authentic Turkish food as well as local and foreign beverages, of which local tea and coffee are a real attraction for the tourists. Mugla market is located just 40 kilometers outside Marmaris and it will welcome you with open arms and famous Turkish hospitality. Take a stroll, shop or just enjoy the colorful scenery. Use this unique chance to see the lifestyle of the local people from another angle. 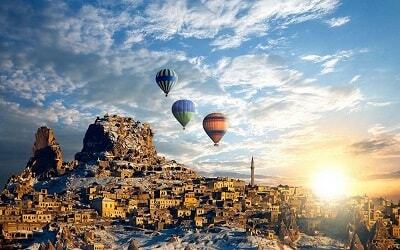 Once you understand all of their customs and traditions, you will appreciate this special journey even more. 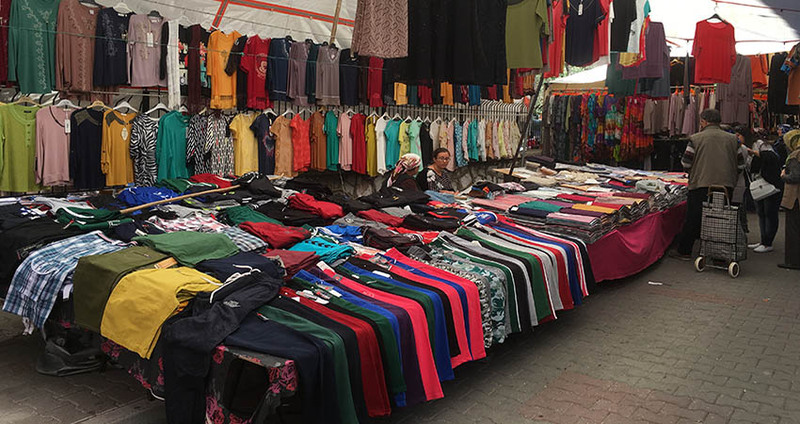 Marmaris Mugla Market tour lasts for five hours, so exchange your money on time (the desired currency is a lira), prepare your sun-cream, glasses, comfy footwear, your sense of adventure and a camera to record this adventure. If you like shopping and local markets, don’t forget that there is also another one in Turunc on every monday. You can visit Turunc market with Marmaris Boat Trip on Mondays. 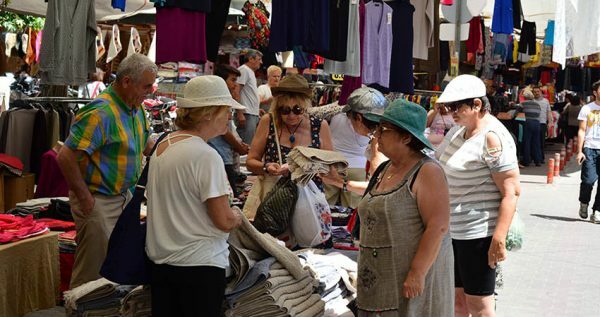 Marmaris Mugla Market Tour starts once our spacious, air-conditioned and cozy buses, pick you up from your hotel. Mugla market is located about 40km outside of Marmaris, which is an hour-long drive. 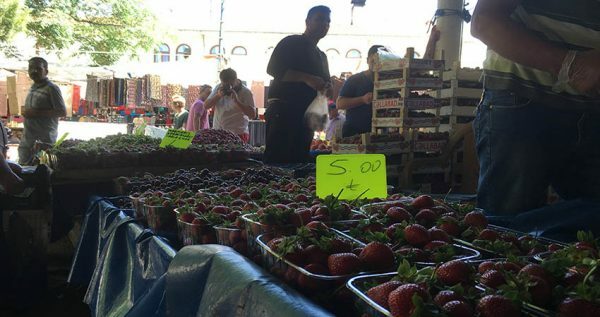 The tour price includes amenities such as hotel transfers, full insurance, and the helpful instructions at the market from our English-speaking guide. Mugla Market is a unique trading ground, where all the things available are related to local needs and local manufacturing. This marvelous wide array of different products, makes this market one of the most colorful markets in the world. 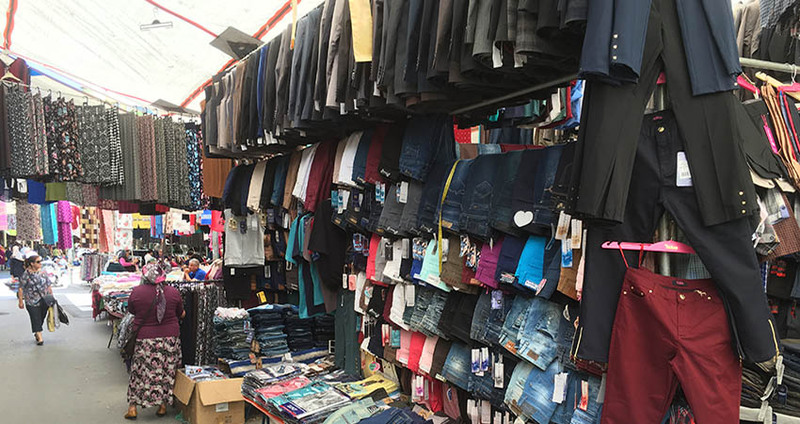 It also provides one of the most entertaining shopping experiences you will ever have. Most of the sellers don’t speak English, so use your mime-talent and bargain for the best price you can get. 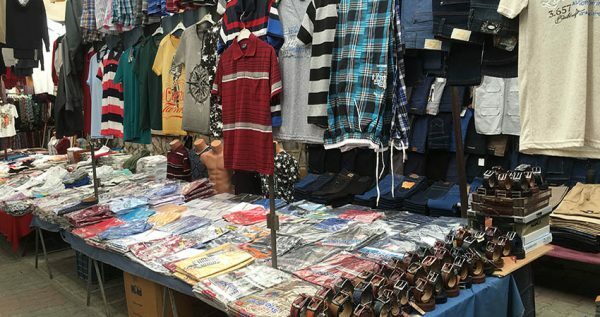 Apart from the goods related to local production, you will also find fake jeans, handcrafts and perfumes. 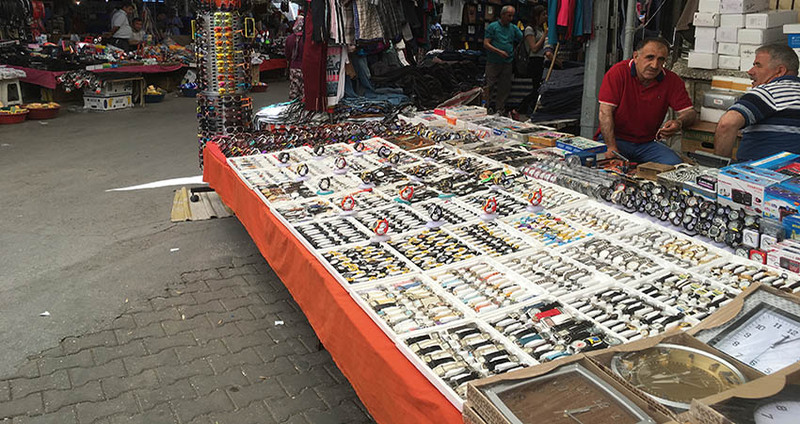 One of the main advantages of this market is that it is very big, so it isn’t as crowded as Marmaris market. At this lovely market you will also get to taste some amazing Turkish beverages and dishes. 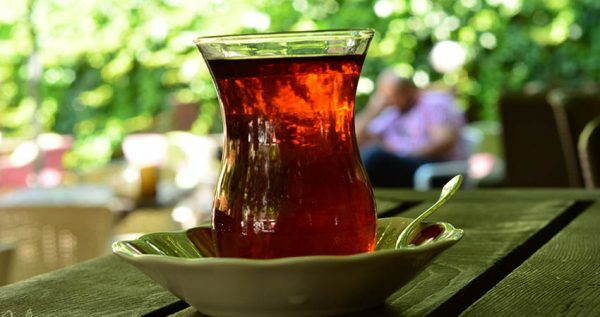 Local drinks like Turkish coffee and Turkish tea are always a good choice, and you can eat at one of the numerous local restaurant surrounding the Mugla Market. 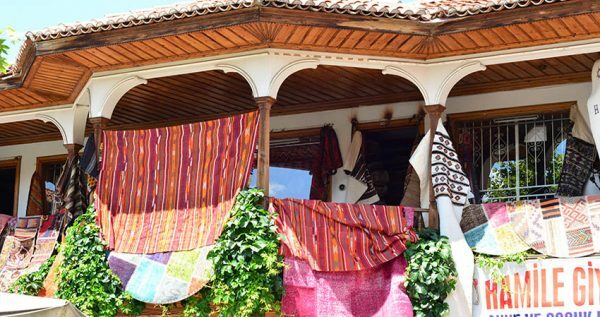 All of these restaurants are authentic Turkish restaurants, where you will get to enjoy the famous Turkish hospitality and gourmet specials. The shopping itself lasts for 3 hours, and the complete tour lasts for 5 hours. 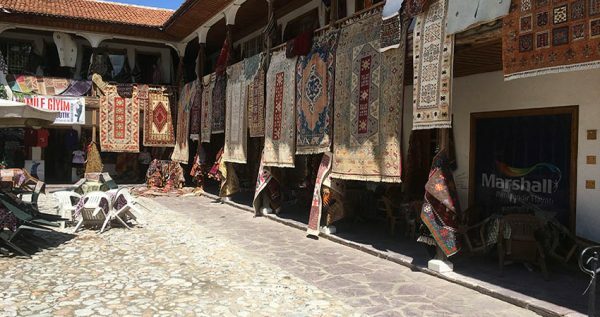 Once the shopping is over, we will take you back to Marmaris and drop you of in front of your hotel. This transfer back to your hotel is free of extra charge, because it is included in the complete tour price.